The events of the Venezuelan crisis have recently intensified, growing into a global affair that has affected millions of people around the world, including the more than 130 Venezuelan international students who study at the University of Miami. Many students, such as junior Astrid Pena, have many family members back in Venezuela. 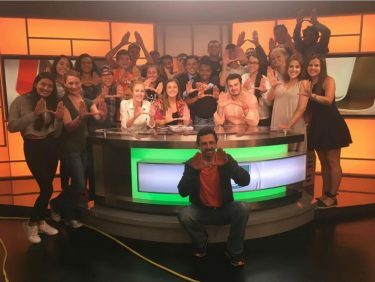 Pena is an active member of the University of Miami’s Union de Venezolanos. She said the situation aches her to her core. “I am constantly worried about what is going to happen, not only with the government but with my friends and family,” said Pena, who is a sociology and psychology major. Pena said her loved ones are divided as a result of the conflict. “Some of my family members left the country looking for a better future; others did not have the opportunity to leave Venezuela,” Pena said. According to a new report by the United Nations, over 3 million Venezuelans have fled their homes since 2015, migrating to places like Colombia, Peru and Ecuador. The recent magnitude of protests has also instilled an uneasy feeling in those on the outside of it all. Pena described the distress she endures when she hears of the events. Another member of UNIVEN, Joanna Valencia, said the situation in Venezuela is affecting her sense of personal identity. The situation in Venezuela is fickle; there are new headlines every day and updates every hour. Maria Pardo, a proud Venezuelan and a professor within the Department of Modern Languages and Literature, said she believes there are misconceptions about what’s happening. Pardo said she wants people to know that there is no far-right movement in Venezuela, something Maduro has expressed a fear towards and is actively trying to prevent. “Juan Guaidó is relatively a centrist, not a radical rightist, but the people support him because he’s a representation of democracy,” said Pardo. Another misconception she addressed is that Guaidó was not elected by Trump but was rather elected by the people to represent the National Assembly. That role requires him to fulfill the responsibilities of the executive branch, where a currently void lies. Pardo emphasized that the Venezuelan crisis is such a complex and unique situation that it’s hard to truly make any judgments about the course of action we should pursue. In a survey of 10 Venezuelans, every person strongly suggested that the United States should avoid pursuing military intervention in Venezuela. The proposed alternatives were diverse: one student said the only way to resolve this situation is a domestic coup d’etat while another student encouraged strategic international collaboration. Another student, sophomore Arturo Galan suggested a more positive approach. Although he is a Miami native, he said he holds strongly to his Venezuelan roots. 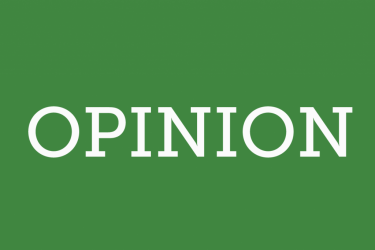 Is living on campus worth it?